The holidays are over but the fun of home decoration never ends. It is now tome to update your home and to get rid of all of the Christmas decorations. Some throw blankets and some creative ideas can help you decorate your place. You can also choose a stunning throw blanket gift for your friends and help them redecorate their homes after Christmas is over. Here are some tips which may help you beautify your home. Use a solid or printed throw to decorate your living room’s sofa. Take a complimenting throw blanket and lift off the sofa’s cushions. Now open the throw blanket and place it right in the middle of the sofa. Make sure you pick a blanket that doesn’t cover the whole breadth of your sofa. The blanket should leave equal space on its right and left. Pick some simple and solid Chenille throws available at Things Remembered. These throws come in various solid colors. They are baby-soft and wooly, having a distinctive texture. Keep this blanket’s hem under the cushions. Make sure it is not visible from the front. The blanket should look like a part of your sofa. So, make sure it hugs the sofa tightly. 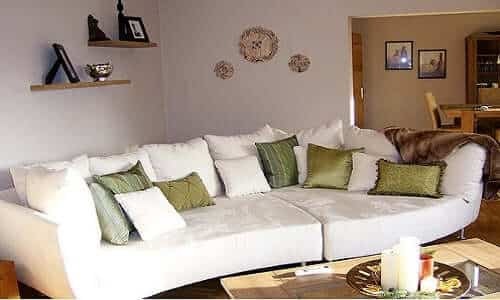 To finish off, put some throw pillows on the sofa. Use a Family Tree throw to decorate the living room chairs. Pick one of these and let your parents or grandparents be proud of the family they have created. These richly colored and personalized throws are perfect for a dining room or bedroom chair. You can decorate your bed with a long Snuggle Fleece Argyle throw blanket. This is a cuddly blanket that keeps your bedroom super warm. Featuring the ultra soft comfort and coziness, this blanket is perfect for sleeping, snuggling, watching TV, reading etc. It comes with a pretty pink and blue argyle design with white contrast stitching. It has an attached pocket which helps you fold it easily and to use it as a pillow. Just fold this blanket and keep it on the bottom of your bed. Don’t forget to pick a longer and printed throw blanket as well. You can place it just above the first one. This will make your bedroom more colorful and comfy. You can decorate your kid’s room with a blanket regardless of his/her age. Go for A Mother’s Love throw available at Things Remembered if your kid is a teenager or younger. Hang this blanket on the wall or drape it over an antique chair. You can pick the Graduate personalized fleece blanket to surprise your newly graduate kid. Available at PersonalizationMall, this throw blanket gift comes with your kid’s name and the graduation year.